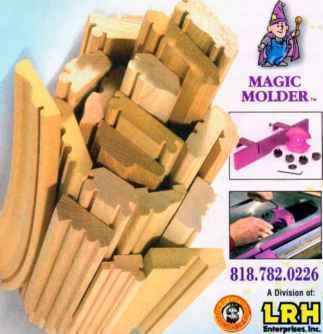 Convert your table saw iiiki a molder wilh lltt* Magic Mulder. We Built a Porter-Cable Store to Show it all. See the complete line-up of Porter-Cable products ¡n the new Porter-Cable store. 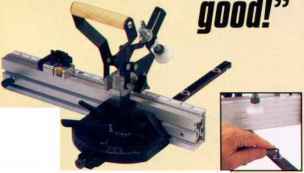 Over 950 items including pneumatics and cordless tools to the hard-to-find wood-working accessories. See the entire fleet of this year's new Porter-Cable products at the store that has it alt. Q. My husband wants to turn our basement into a TV room so I have to move my shop to the garage. I want to fix it up right and one of the big questions I have is how much lighting do I need? A. Pages could be written on how to best light a shop area and it can get quite confusing with terms tike foot candles, lumens and Kelvin temperatures. But here are some basic guidelines that'll help you as you set up your shop. 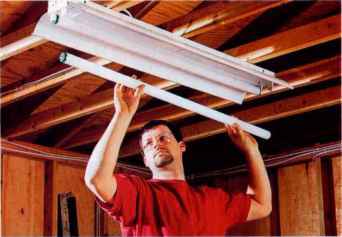 ■ Fluorescent lights cost less to operate than incandescent lights. • Locate additional task lights over machines and workbenches. ■ Use a dedicated ! 5-amp circuit and load it with no more than 1,400 watts. • When possible, paint the walls and ceiling a light color. 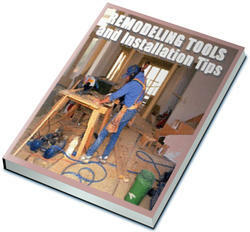 • Work with a licensed electrician and secure a permit before you begin the work. ■ 4-sldod replaceable carbide knives. • 13 diiterent depths with one tool using optional collars. Q. I love my rechargeable tools but I'm getting a drawer full of dead batteries. I know I shouldn't throw them out with the trash but what can I do with them? A. You're right. The trash is the wrong place for used batteries. Trash gets burned, buried or both. Many of the metals used in rechargeable batteries are hazardous and can end up in our air or ground water if disposed of improperly. The right place for disposal is one of 20,000 national "Charge Up to Recycle" collection sites. They include ACE Hardware stores. Batteries Plus, Circuit City, Radio Shack, Target, WalMart and Zellers, to name a few. 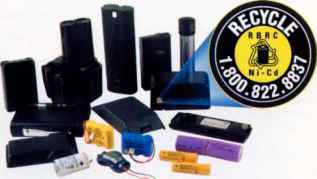 They accept several types of rechargeable batteries (nickel cadmium, lithium ion, nickel metal hydrite and small sealed-lead batteries). They do not accept car batteries. 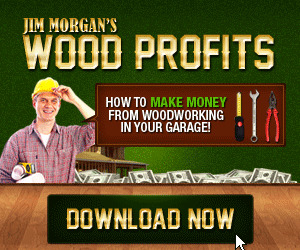 It"you have j question you'd like answered, send it to us a:: Question & Answer, American Woodworker, 2915 Commcrs Drive, Suite 700, Lagan, MN 55121. Sorry, but the volume of mail prevents us from answering each question individually. Jet...the Power to Shape Your Ideas. And the Store to Make Them a Reality. The Jet store is now open with over 170 Jet products in stock, including best sellers and hard-to-find attachments. Complete product information including customer reviews make comparing products quick and easy. Visit the Jet store and see why Jet is one oF the fastest growing brands in the industry. The Accu-Mitei® is a professional miter gauge that makes perfect angles easily. Shot-pin action assures dead-on accuracy for common angles. 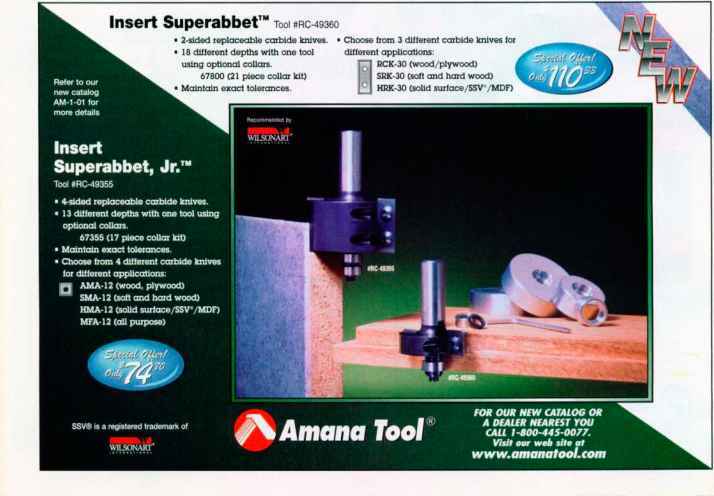 Our new adjustable bar insures a perfect fit in your table saws slot.